A set of 48 cable reels in twelve styles, four reels of each style. Includes USN, IJN, RN, and KM designs. Relief-etched in 3-D for extra detail. Brass. Can be used with all 1/350 scale model ship kits. 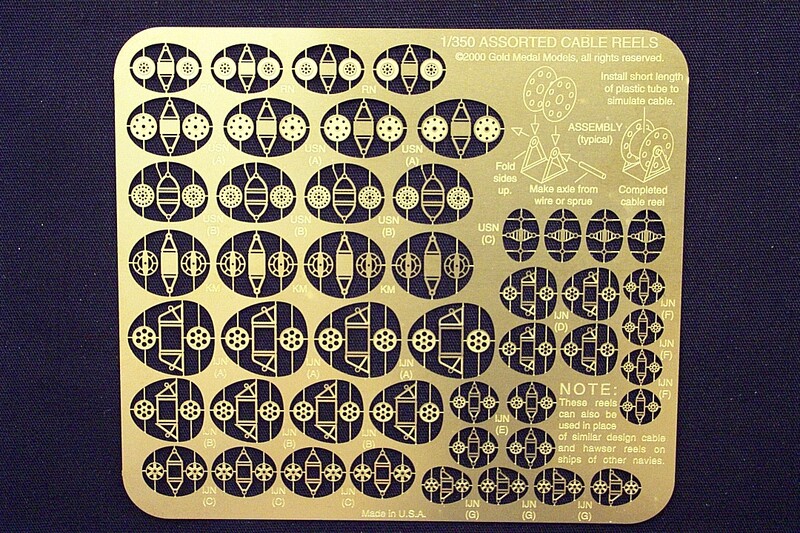 SEE PHOTOS AND A REVIEW OF GMM'S 1/350 CABLE REEL DETAIL SET!